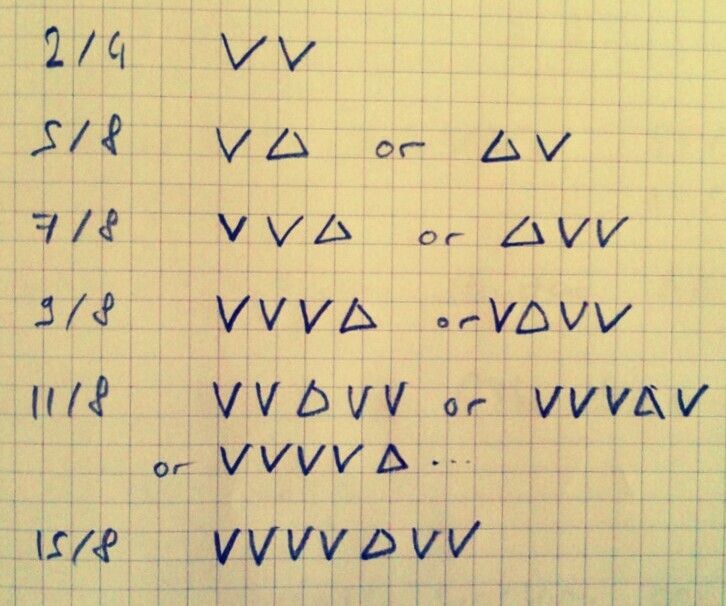 A curious rhythm notation… | . astrakan project . So I started to write our rhythms using this very efficient notation, this what it looks like for our song 1932 from our first album. With the following structure : AABA.